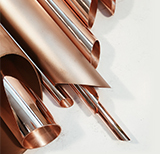 Our Copper and Copper Alloy Pipes have excellent sea-water corrosion-resistance and processability with high quality materials. 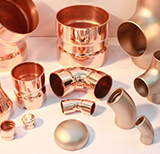 Fitting Division has the core technology in shipbuilding/offshore/petrochemistry/power plant field based on fitting manufacturing technology, using Copper and Copper Alloy materials. 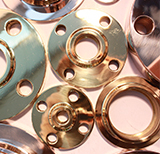 With outstanding quality and excellent services, Flange Division has been supplying Copper and Copper Alloy to shipbuilding/offshore/petrochemistry/power plant field in forging.